According to the National Center for Education Statistics, bachelor’s degrees attained in science, technology, engineering, and math subjects accounted for 17 percent of the 1.8 degrees million conferred in 2013-2014, a 2 percent increase from 2008-2009. As more industries and careers call for knowledge and training in STEM topics, students interested in these areas of study stand to benefit from job stability and higher-than-average salaries. In reading this guide, students can learn about some of the high-paying STEM careers available, find helpful educational, financial, and career resources, and gain expert advice about choosing their educational and professional path. The acronym “STEM” has gained momentum in the last decade as more and more careers focus on the need for scientific and technical knowledge, but some high school and college students may feel they need more information about this ever-growing field. STEM refers to Science, Technology, Engineering, and Math and is used as an umbrella term for 21st century jobs focused in these industries. According to the Bureau of Labor Statistics, approximately 8.6 million STEM jobs existed in the United States as of May 2015, with approximately 45 percent of those focused on computer and computer-related jobs. STEM positions appeal to many individuals as they often pay wages far above the national average. The average annual salary for all STEM careers in 2017 was $87,570, as compared to the national average of $45,700 for all non-STEM positions. STEM careers also offer professional stability, as roles in these industries grew by approximately 10.5 percent between May 2009 and May 2015 and show little signs of slowing in the coming years. Non-STEM jobs, conversely, grew 5.2 percent during the same time period. When considering STEM majors, students can choose from a plethora of options. The Department of Homeland Security recognizes more than 100 focus areas, ranging from engineering technology and environmental control technologies to undersea warfare and biopsychology. A full list of STEM degree programs can be found via the federal government. These degrees translate into countless careers upon graduation, with options existing in both public and private sectors. Some of these are reviewed in the following section. As one of the fastest growing and highest paying industries, those working in STEM careers should feel confident and safe in their career choices over the coming years. The following section highlights a few of the hottest careers in STEM at the moment but by no means offers a comprehensive review of all jobs available. Learners should complete additional research to find a role that fits their goals. Whether working for a corporation as a data analyst or teaching the next generation of mathematicians, these professionals use their knowledge of mathematical principles and theories to advance understanding of math- and statistics-related questions. They frequently work alone but may consult with other teams when creating parameters for their projects. Individuals in the top 10th percentile of earnings bring home nearly $162,000 annually. Also referred to as systems architects, these individuals manage and maintain IT systems for the companies they serve. They work with various departments to determine needed upgrades, liaise with vendors to find appropriate hardware and software, install new systems, and ensure safety and security. Computer systems analysts working in New Jersey, Washington D.C., New York, California, and Virginia stand to earn the highest annual mean wages. Working on the frontlines of innovation, computer and information research scientists develop new technologies and approaches to furthering the field of computer science. They may create new programming languages, develop innovative tools, or work to solve existing issues with new methods. California, Virginia, Maryland, Texas, and Washington possess the highest concentrations of employment for these professionals. Most commonly found in laboratory settings, biochemists most commonly possess doctoral degrees and work with teams to conduct experiments leading to expanded understanding in the field. They study various molecules, manage other chemists, write reports about their findings, and present emerging research at conferences. Those in the top 10% of pay earn more than $177,700 each year. Using their understanding of the natural sciences, environmental scientists work to protect the health of the environment and humans inhabiting it. Alongside conducting research, they develop studies to help the larger populace understand potential causes of harm and what can be done to mitigate them. Most possess a bachelor’s degree, although those in senior-level roles may possess advanced degrees. These professionals stand to earn the highest salaries in Washington D.C., Alaska, Colorado, California, and New Mexico. Geoscientists focus their efforts on studying the Earth and all its components. Some may work to understand the earth’s history, while others look to gain a better understanding of how it is composed and what processes over time shifted its composition. Entry-level roles require a bachelor’s degree while more advanced positions desire a master’s degree. Those in the lowest 10% earn $48,850 each year while those in the highest 10% bring home $184,130. With a focus on building and infrastructure, civil engineers work both for companies and governments and as consultants. They may design roads, airports, bridges, or any other built environments and work with contractors to ensure their plans are carried out efficiently and effectively. Any civil engineer wanting to receive licensure must hold a master’s degree. Alaska, California, New Jersey, Texas, and Washington D.C. offer the most competitive salaries. While environmental scientists work more towards understanding the causes of environmental issues, environmental engineers develop solutions based on that research. They can often be found working to improve systems and processes around disposal of waste, quality of water, control of pollution, and recycling. The majority hold bachelor’s or master’s degrees, depending on their seniority level. Individuals in the top tenth percentile of workers earn in excess of $134,060 annually. Like many of their other scientific counterparts, chemists are most frequently found in labs. By studying things at the molecular and atomic levels, chemists work to understand how various substances interact with each other and how those interactions can be used in new products and compounds. While some graduates of bachelor’s programs may find work, most positions require an advanced degree. California employs the highest number of chemists, with New Jersey, Texas, Pennsylvania, and North Carolina rounding out the top five. Stepping outside the laboratory, chemical engineers use the findings of chemists to develop and manufacture new substances. They may work in areas of pharmaceutical drugs, food, household goods, and many other products to develop streamlined processes for large-scale manufacturing and distribution. Many hold bachelor’s degrees. Texas, Alaska, Virginia, Delaware, and Maryland offer the highest salaries in the United States. When using an app or program on your phone, tablet, or laptop, there’s a great chance that a software developer engineered that tool. These computer professionals work with clients to ascertain their needs, build suitable software, test for bugs, and continue upgrading the software as technology advances. They may work in-house or in a freelance role and usually possess a bachelor’s degree. While those in the lowest 10th percentile of earning make $59,870, those in the top tenth earn more than $160,000 annually. Many STEM professionals desire to work in labs, offices, and in the field, yet others feel drawn to the classroom. These professionals use both knowledge of their discipline and advanced knowledge of educational theory to teach others how to engage in meaningful work. Those employed by community colleges often possess a master’s degree, while faculty at four-year colleges need a Ph.D. As the number of individuals pursuing higher education is projected to grow in the coming years, qualified professors will be in great demand. Dr. Chance Glenn is the President and CEO of Morningbird Media Corporation and the co-inventor of Electronic Alchemy. He is a life-long innovator and entrepreneur as well as a tenured full-professor and Dean of Engineering at Alabama A&M University in Huntsville, Alabama. Dr. Glenn has a mission to bring new, exciting technologies to life and to put innovative tools into the hands of creative people. The Electronic Alchemy concept was formed with the help of co-inventor Dr. Wing Chan. Together they have worked to prototype and test the technology with funding from NASA and technical support from the AAMU-RISE Foundation. Currently they are working to commercialize the Electronic Alchemy eForge as a tool to enable innovation. What is your best advice for students trying to decide if this is the right path for them? A career in STEM is about creativity and about problem solving. So instead of asking whether you love math, you should ask yourself if you love to create and if you love to solve problems. While math may be difficult, it can be mastered with enough motivation. The opportunity to do something that you love is the proper motivation. So, if the answer to the question is an affirmative, then a career in STEM may be for you. Some students worry about job stability and the information they learn in college being outdated with the rapid changes in STEM industries. What would you say to them? For better or for worse, our society is becoming more and more technologically driven. Every aspect of our lives is impacted by science and technology in one way or another. STEM job opportunities are being created at a much faster rate than we can graduate students to fill them. This trend will not change in the near future. It is only important that you stay up to date on the latest ideas can concepts in science and technology. The best STEM programs at colleges and universities teach students how to learn. Information may change, but learning how to find and process information is a timeless ability. How can schools and colleges better encourage female students to enter STEM fields? I do not believe that there are pre-defined gender roles, particularly in STEM fields. I believe that human beings are capable of learning and doing just about anything. Opportunities must be provided and barriers removed. If great opportunities are provided and welcoming, inclusive environments created, then this is the fertile field in which to cultivate and grow more female STEM students. This notion obviously applies to everyone and anyone, male and female alike. How important are internships in this line of study/work? Any tips on finding meaningful ones? Internships and co-ops are critical in the pursuit of a STEM career. First, it gives the student an opportunity to gauge how much they really like the profession. Second, it gives the employer an opportunity to see how well a student may perform in the real world. Third, it provides the chance to make contacts and connections that you would otherwise not have. Fourth, it highly improves the probability of landing a full-time job with the company with which you’ve interned. A few quick tips on finding an internship: (1) Start early. January or sooner should be when you begin looking for a summer internship. (2) Be bold. Go after the dream opportunity. Don’t short-change yourself. (3) Learn. Study everything you can about your potential employer before you interview. Show them that you are aware of what they do and that you care about what they do. Why is STEM so important in this day and age? According to James Brown, Executive Director of the STEM Education Coalition, “the future of the economy is in STEM – that’s where the jobs of tomorrow will be.” As more jobs and career paths demand scientific and technological knowledge, students specialized in these areas stand to add meaningful contributions and earn competitive salaries. Why do men outnumber women in STEM majors and careers? While female high school students’ achievements mirror those of their male counterparts in STEM subjects, girls tend to take fewer advanced science and math courses at the high school level. While they earn 50.3 percent of all science and engineering baccalaureate diplomas, these numbers do not hold up in other topics. The National Girls Collaborative Project found underrepresentation in computer science (18 percent), engineering (19 percent), physical sciences (39 percent), and mathematics (41 percent). Similarly, women comprise half of the American workforce but hold just 29 percent of STEM jobs. More efforts must be made to encourage and empower girls to study these topics early in their educational careers. If I study STEM in college am I pigeonholed into a job? Like many other degrees, STEM majors provide transferable skills and knowledge in areas of critical thinking, attention to detail, research, and others that complement emerging jobs of the 21st century. Learners who enjoy STEM but decide not to pursue a career directly related to these subjects can leverage their learning into a related position. Students can use the following resources to get a better sense of what it looks like to study a STEM topic at the collegiate level and how to navigate obstacles along the way. A Day in the Life of a STEM Major: Student Kate Sundquist shares the ins and outs of what it means to study STEM at the college level and helps students get a sense of whether it’s the right path for them. Engineering Career Center: The University of Illinois at Urbana-Champaign provides a great example of college resources that can help engineering students find their professional path and receive help along the way. Half of Americans Think Young People Don’t Pursue STEM Because It Is Too Hard: The Pew Research Center takes an in-depth look at why more students don’t pursue STEM degrees in college, what motivates people’s impressions of these degrees, and how attitudes can be changed. Higher Education in Science and Engineering: The National Science Board pulled together a comprehensive report on students pursuing STEM programs at all degree levels and how those numbers break down across gender, ethnicity, race, and socioeconomic status. How to Encourage Female Students to Pursue STEM Fields: The University of Cincinnati offers concrete and actionable advice about diversifying STEM careers to ensure women are empowered to make their mark on the field. Providing Career Resources for STEM Students During Freshman Orientation: The National Career Development Association offers advice for college administrators and faculty looking for ways to encourage and retain more STEM majors. STEM Attrition: College Students’ Paths Into and Out of STEM Fields: The National Center for Education Statistics provides this report on how many students stay the course and graduate with STEM degrees each year and discusses how to improve those numbers. Understanding STEM Skills: Minnesota State University’s career services highlights some of the overarching skills learners can expect to gain when completing a STEM degree. What Do STEM Professionals Do? : Johns Hopkins University’s Applied Physics Laboratory answers this question for students (and parents) seeking more information about available careers. Why So Few? Women in STEM: The American Association of University Women created a comprehensive report on why men greatly outnumber women in STEM academic programs and what can be done to improve those numbers. The Department of Defense offers a variety of STEM-focused scholarships for undergraduate and graduate learners. The SMART scholarship, for instance, covers all tuition and provides a stipend of up to $38,000. The Federal Student Aid department offers a comprehensive tool for students and their families to use when trying to make plans for college and avoid making common mistakes. This renewable $15,000 award helps minority students in their sophomore, junior, or senior year receive the funds needed to complete their STEM degree. Applicants must be enrolled full-time, show financial need, and maintain a 3.0 or higher GPA. SWE offers two scholarships per year to undergraduate and graduate students. These range in value from $1,000 to $15,000 and some can be renewed. Applicants must provide transcripts, letters of recommendation, and a personal statement. Heritage University helps students pursuing a STEM degree understand the best path to graduating with less debt and how to leverage existing scholarships to help cover costs. The Armed Forces Communications and Electronics Association offers two different scholarships for undergrad students pursuing STEM degrees. Applicants must attend a four-year college and be in their sophomore or junior year of study. The U.S. Department of Education maintains a series of webinars to help students and their families understand topics such as filling out the FAFSA, applying for loans, and financially preparing for the cost of college. This scholarship provides $10,000 to a female student pursuing a degree in computer science, computer engineering, or a related field at the bachelor’s, master’s, or doctoral level. Learners also receive mentorship from accomplished women tech professionals. USRA maintains four separate scholarships for undergraduate students pursuing science or engineering degrees that emphasize space and/or aeronautics. Applicants must be in at least their sophomore year and meet GPA requirements. With so many STEM careers available, students must do their research to find a good fit for their professionals needs and personal desires. Check out the sites below to start learning more about finding a STEM job. 5 STEM Job Search Secrets: The Mathematical Association of America provides these secret tips for standing out from the competition and impressing hiring panels when seeking a STEM job. Advancing Careers in STEM: The Society for Advancement of Chicanos/Hispanics & Native Americans in Science provides a job search tool and research center for students from these populations looking to find a perfect STEM career. CCC STEM Career Support: The California Career Center provides an example of how states can support recent graduates of STEM programs by making available state-level resources and services. Choosing a STEM Career: PBS’ Learning Media created this interactive guide for high school students looking to get a better sense of available STEM careers and where their interests lie. STEM Career Advancement: The University of Chicago devotes an entire section of its website to helping current STEM majors and recent alumni find employment. Students at other colleges should look for a similar resource. STEM Career Resources: The Public Broadcasting System’s Nova Labs provides a range of resources for current students and recent graduates looking to kickstart their STEM careers. STEM Careers: Michigan State University’s CAREERwise Education Department highlights popular roles for STEM majors and provides information on wages, demand, and educational requirements. STEM Careers: Just for Students: The National Alliance for Partnerships in Equity offers clear and actionable information for students trying to decide if they should pursue a STEM education/career. 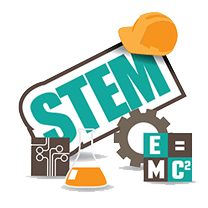 STEM Occupations: Past, Present, and Future: This guide, produced by the Bureau of Labor Statistics, takes a look at the roots of STEM occupations, surveys where the industry currently stands, and makes projections for the future. STEM Occupations Toolkit: Virginia’s Career View program provides this interactive toolkit for students who want to learn more about STEM positions and how to go about competing for their ideal role.